23% of all photocopier faults worldwide are caused by people _______ and copying ______. If you said “sitting on” & “butts” you could be a contender! 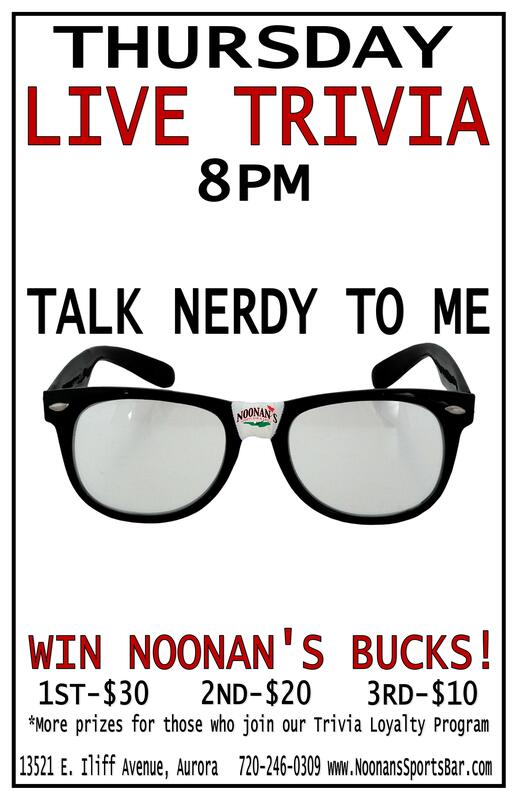 Test your wealth of cranial knowledge at a chance to win Noonan’s Bucks! Teams of up to 8 people compete through three (3) rounds for points. The winning team at the end of each round wins F.G.C. shots! At the end of it all, we pay the top three (3) teams in Noonan’s Bucks! Each team selects the “Main Team Name” and the “Captain” for their team and informs the DJ. The team name being used during play can be different from the Main Team Name, as it is used solely for points accumulation from week to week. Upon reaching the point tiers, your team wins Noonan’s Bucks! Once a team breaks the 1,100 point Tier, their points restart at 0 the following week.